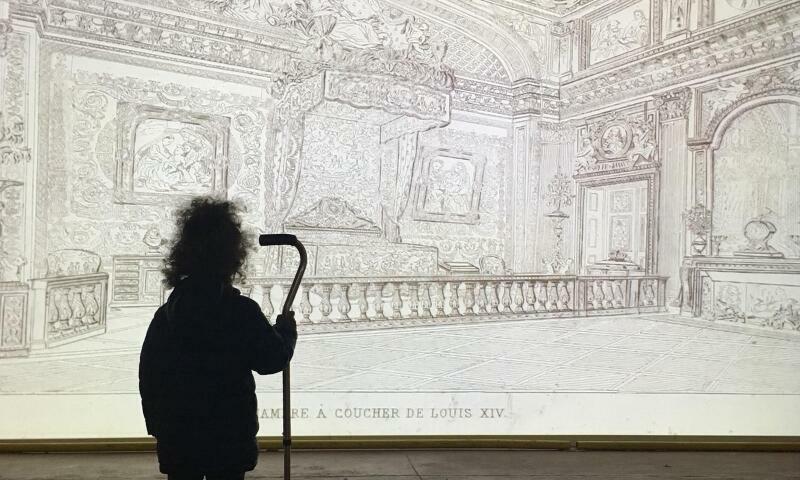 A child leaning on a cane watching Dana Levy, "The weight of thing," 2015. Photo by: Sharon Glazberg. ZUMU is a model for social change that can be adapted to suit the needs of any city in Israel or around the world. In each city, a new public square will pop-up to house a temporary arts exhibition. The museum consists of a central space constructed out of a pavilion (converted greenhouse), moveable shipping containers, and an existing building or neglected public space, such as an abandoned school, parking lot or warehouse. The artworks that will be exhibited will be especially commissioned for ZUMU by leading artists from different artistic disciplines. We will showcase leading and emerging contemporary Israeli artists, as well as community-based works. ZUMU will offer cultural and educational programming and interactive workshops for local school groups, children, youth and adults. Visitors can directly engage with the art and will be encouraged to touch, observe, laugh, research, discover, contemplate, connect and feel. Rather than "export" art to the periphery, ZUMU will work closely with local stakeholders to build a lively urban center where members of the community can come together and have a powerful, shared experience. In each host city, ZUMU will have a slightly different look and feel.